Fan Forum > Archived Forums > Chuck > Chuck Hot Seat #3: Getting to know... weejad! Chuck Hot Seat #3: Getting to know... weejad! - We only accept 10 members at the time. - If you want to be added just post in here if there's an open slot. - Participates will be on the hot seat, for one week. 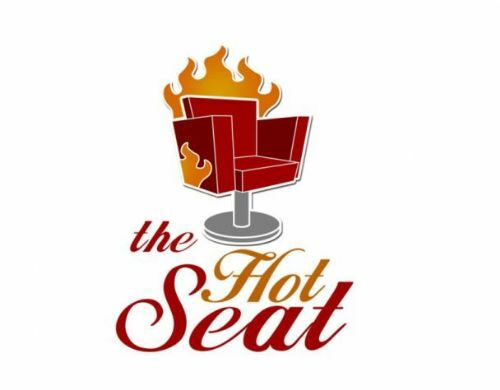 Each person asks the person in the hot seat 2/3 questions they want to know about that member and when the week is over the next member will take his place in the Hot seat. This is a place where you can relax and get to know different users of this board, with that in mind try not to be rude on your questions and let´s all get to know ourselves and have fun in the process. 2) THIS COULD BE YOU!!! What is the most disgusting thing you've tried? WHat is the most delicious food you've had? About 15 years ago when I worked for the Navy, I was training some Egyptian Air Force officers in lab management (long story). At the end of the course, they made me and the other instructors a traditional Egyptian dish. I don't even know what it was called or what all was in it, but it was awful. Hm. That's a tough call. I'm sure it was a steak somewhere or other, but I'd have trouble picking the single best one I've had. Which summer olympics sport do you like watching? Do you have any favorite Olympic moments? Not much into the summer sports. I much prefer winter olympics. From the summer olympics, sometimes the gymnastics and sometime the volleyball, if I'm in the mood. But not really feeling it yet this year. I suppose the Miracle On Ice. Walking into a spider web. Any hobbies? Or things that interest you? If you had the option would you like to go into space? Most played songs on your ipod/mp3? Which is your favorite winter olympic sport? Best present you ever received as a child? When I was younger probably; not anymore. I hate traveling. No mp3 players, so ... none. Gosh, I don't know. Nothing sticks out. I'll go with the sappy answer and say two great parents. What decade/era would you like to go back to? Honestly, none of them sound that appealing. Who is the drummer guy with the red hair? Him. What is your go to style/outfit?